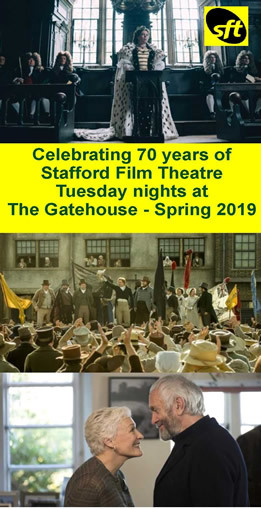 in the Gatehouse Theatre, Eastgate Street, Stafford. 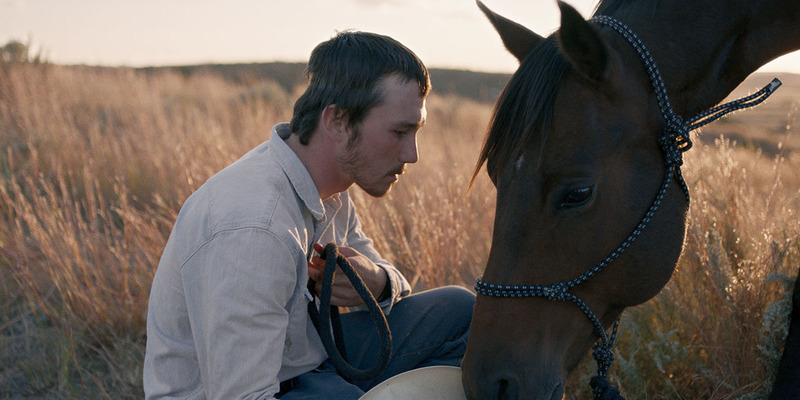 In this atmospheric film based on true events, rider Brady Blackburn (Brady Jandreau), is recovering after a near fatal fall during a rodeo, After checking himself out of hospital earlier than advised he is determined to get back into the saddle as being a cowboy is all he knows. His doctor eventually confirms his deepest fear that he cannot sustain another serious head injury, making a return to the rodeo unlikely. Brady has to come to terms with this and Attempts to regain control of his fate and search for new identity as he tries to redefine his idea of what it means to be a man in the heartland of America. click the pictures for the trailer..
by phoning the Box office 01785 619080, or by calling in. Tickets available on the night. Spring Season 2019, that runs from 12 February 2019..
Click on the film title above for more details on each film. 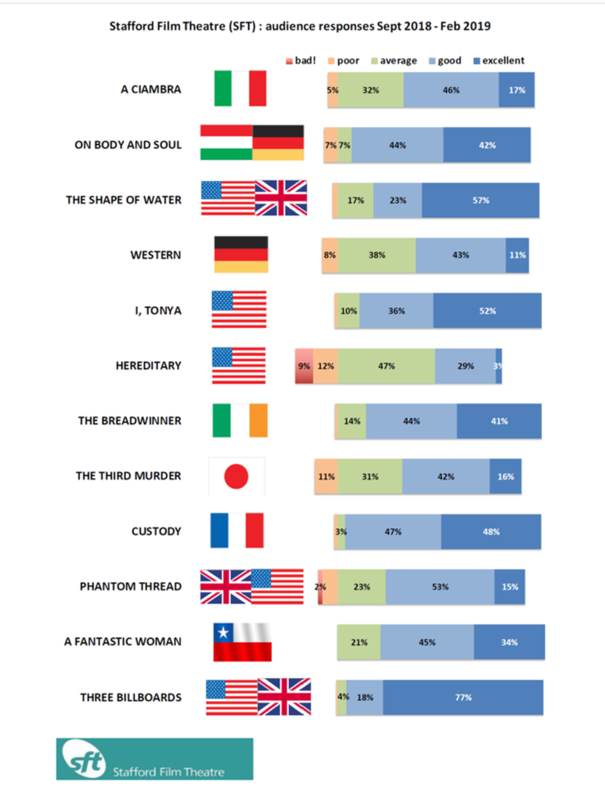 can be previewed here: it shows the quality and diversity of films that we show. Please click on the picture and then print it if you wish, or wait for our published leaflets to appear in our usual venues! New Ticketing arrangements are in place for this season. through the Box Office in the Gatehouse Theatre, either in person (in advance or on the night), or online. Please see our ticketing page for more information. more information about membership, prices, booking tickets and venue. And as an added bonus, when you sign up you'll get a regular email reminder of the film that is coming up each week. 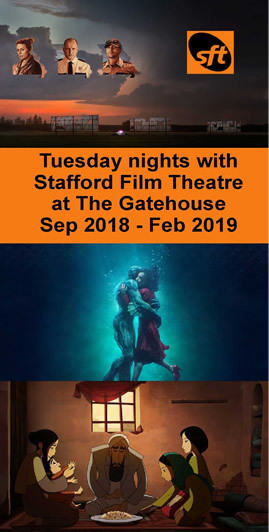 we'll be happy to answer any questions you may have about the Stafford Film Theatre.